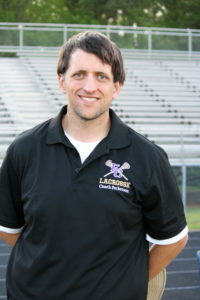 Coach Perkerson begins his third season coaching the girls’ lacrosse program, this will be his second year as Head Coach. He has volunteered the last three years for Coweta Lacrosse, coaching, and helping to grow the girls’ lacrosse program in Coweta County. He is currently in his sixth year of teaching for the Coweta County School System. Coach Perkerson has a Bachelors in Agricultural Education from UGA, a Masters in Math Education from West Georgia, and a Specialist Degree in Instructional Technology from West Georgia. Coach Dawson grew up in Alpharetta, Georgia. After attending Milton High School she went on to attend North Georgia College and State University (current UNG) where she majored in History and Education. She has taught Kindergarten, 4th, 5th, 9th, and 11th grade. She currently teaches 8th grade at Lee Middle School. Since 2009, Coach Dawson has coached at both South Forsyth High School and Lambert High School. 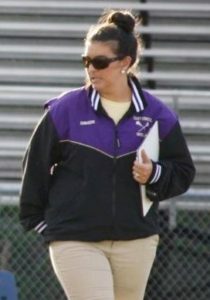 Coach Dawson is married and has 4 children, one of her children currently plays lacrosse here at ECHS. This is Coach Dawson’s second year as the JV Girls’ Coach. 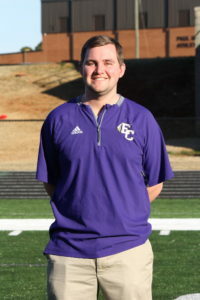 Coach Giddens is entering his first season as the head coach for the boys’ lacrosse team at East Coweta High School. Coach Giddens was born in LaGrange, Georgia and graduated from the University of West Georgia with a Bachelor’s Degree in Health and Physical Education. 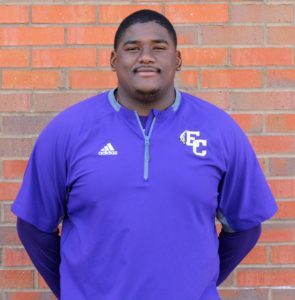 Coach Giddens is also an assistant coach for the varsity football team and teaches Health and Physical Education at East Coweta High School. This is Coach Johnson’s first-year coaching lacrosse. Before coaching lacrosse, Coach Johnson was and is the RB/Tight Ends/Tackles coach for the varsity football team. He is also a Special Education teacher at East Coweta High School. Coach Johnson was born and raised in Dadeville, AL., where he also played football for Richard White at Dadeville High School. During his high school football career, he was a three-year starter, named team Offensive Most Valuable Player as a senior, and was a first-team all-district and all-region selection. He went on to play collegiate football at Jacksonville State University under the leadership of Jack Crowe, Bill Clark, and John Grass. He started a total of 49 games as a Gamecock, won 3 consecutive conference championships, played for a National Championship in 2015, and was first team all-conference as a senior. Coach Johnson received a Bachelors of Arts in Special Education in 2017 from Jacksonville State. Coach Darrow is a 2014 graduate of Newnan High School, where she played attack/middie for the girls’ lacrosse team. After graduation, she attended Point University where she helped start, as well as played for, the Women’s Lacrosse Team and was a member of the swim team. Coach Darrow graduated from Point University in 2018 with a degree in Kinesiology and Exercise Science.